According to foreclosure-tracking firm RealtyTrac, monthly foreclosure filings fell 2 percent in May to just under 215,000 filings nationwide. A foreclosure filing is defined as any one of the following: a default notice, a scheduled auction, or a bank repossession. On an annual basis, foreclosure counts have dropped over 16 consecutive months, dating back to January 2010. Like all things in real estate, though, foreclosures are local. 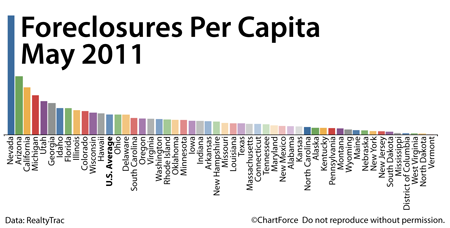 6 states accounted for more than half of the country’s foreclosure filings in May. Those six states — California, Michigan, Arizona, Florida, Georgia and Texas — represent just 34% of the U.S. population. But even on a per household basis, the figures remain disproportionate. The nationwide foreclosure rate was 1 foreclosure per 605 households. As a home buyer , foreclosures matter. Distressed homes account for close to 40% of home resales and that’s because distressed properties often sell at steep discounts; in some markets, up to 20 percent less than a comparable, non-distressed home. Foreclosed homes can be a great “deal”, therefore, but only if you’ve done your homework. Buying a bank-repossessed home is different from buying from “people”. The contracts and negotiation process are different, and homes are sometimes sold with defects. If you plan to purchase a foreclosure, therefore, speak with a real estate professional first. With foreclosures, there’s a lot you can learn online, but when it comes time to submit an actual bid, you’ll want an experienced agent on your side. Mortgage rates are falling, falling, falling. On a wave of uncertainty about Greece and its debt; and weaker-than-expected economic data at home, conforming 30-year fixed rate mortgage rates have fallen to levels not seen since December 2, 2010. The 30-year fixed rate mortgage now averages 4.49% nationally, down 42 basis points, or 0.42%, since early-April. 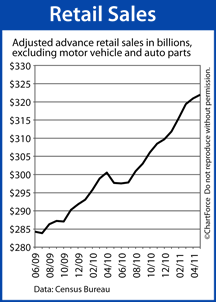 For every $100,000 borrowed, that equates to a monthly savings of $25.24. Adjustable-rate mortgages have shed even more, giving back 50 basis points since the streak began. 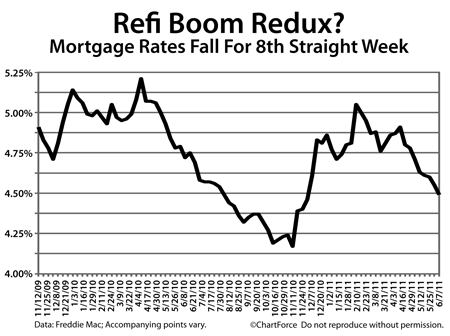 Because of low rates, it’s an excellent time to buy or refinance a home relative to just a few weeks ago. Note, though, that depending on where you live, you may find your quoted interest rates to be slightly higher or lower than what Freddie Mac reports in its survey. This is because the Freddie Mac figure is a national average. You’ll notice that, in the West Region, rates tend to be low and fees tend to be high; in the North Central Region, the opposite is true. Is there a particular rate-and-fee setup that suits you best? The good news is that you can ask for it — no matter where you live. If having the absolute lowest mortgage rate is more important to you than having the absolute lowest fees, ask your loan officer to structure your loan in the “West” style. Or, if low costs are more your style, ask for them. Mortgage rates appears as if they’re headed lower but don’t forget how quickly markets can change. Once they do, mortgage rates should spike. Exploit today’s market while you still can.